Allianz Africa launched the transformation of its core IT Platform with the introduction of the Allianz Business System (ABS). The system was adapted for the African market and is now operational in Ghana for motor insurance products. ABS was developed by the Allianz Group with customer centricity at its core. It connects Allianz with its customers and partners and all parties with a 360-degree view of all transactions. This is made possible through a single platform. Its layered and flexible design makes it easy to adapt for market-specific requirements and processes. The main benefit for clients is the quick turnaround time in handling both claims and underwriting transactions. This project is at the heart of Allianz Africa’s core operational strategy. One of the first milestones was the launch of a new operational hub in Abidjan to steer the business transformation. The launch of ABS in Ghana will be followed by a phased-out implementation across Africa. “ABS will transform how Allianz does business in Africa by enabling us to be more productive and to give our African customers a superior experience. 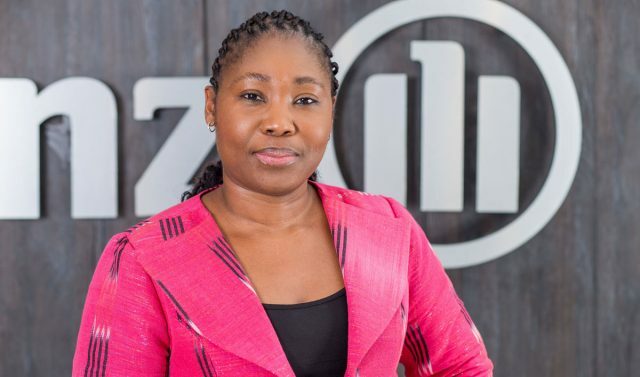 It has also been adapted to support mobile money transactions which is a unique way of buying insurance in Africa,” said Delphine Traoré Maïdou, Chief Operating Officer and Regional Executive Board member of Allianz Africa. The first phase of the ABS rollout for Allianz Ghana is in respect of motor insurance and will be extended to other classes of insurance products and countries throughout 2019 and 2020. Allianz’s operations in Ghana started in the non-life segment in 2009. Allianz Insurance Ghana provides a wide range of products and services such as Motor, Home, Travel, Injury and Disability Insurance. It also underwrites Public Liability Insurance, Asset, Construction as well as Transport Insurance. In December 2017, Allianz started its life insurance operations in Ghana with an official launch on May 24, 2018. Allianz Ghana has rapidly grown its customer base as it strives to bring the best-in-class services and expertise of the Allianz Group to the Ghanaian market.